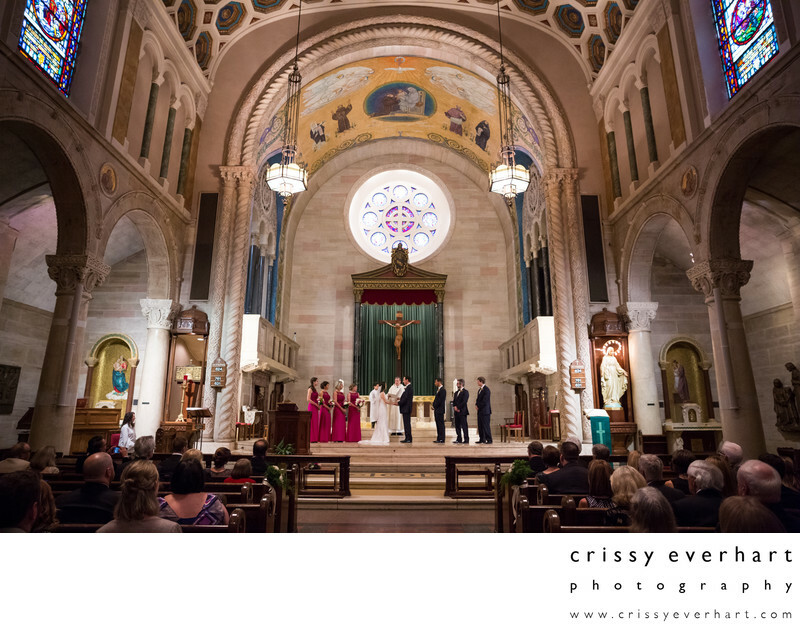 St Anthony's of Padua Catholic Church in Wilmington, Delaware is a beautiful, old stone church with archways, stained glass, and vaulted ceilings. Here the bride, groom, and wedding attendants stand at the altar as the couple exchanges vows. The bridesmaids wear pink and the groomsmen are in black suits. Location: 901 N DuPont St, Wilmington, DE 19805.